Inky Paws Challenge #39 Winners! 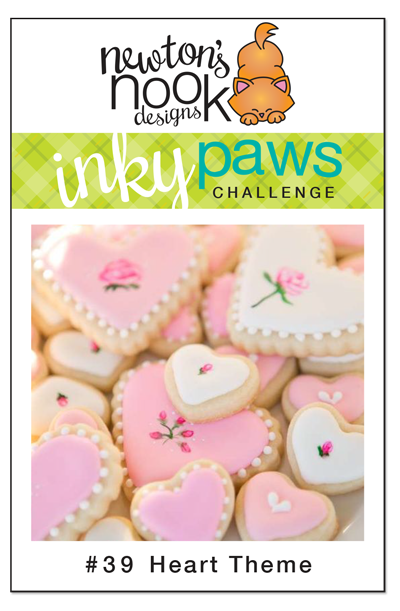 Thanks so much to everyone who entered our last Inky Paws Challenge at here at the Newton's Nook Designs Inky Paws blog! This past challenge was our heart theme challenge! has the perfect blend of elegance and CAS. We love how the little pink hearts float above Newton's head and how the pretty pink ribbon ties it all together. 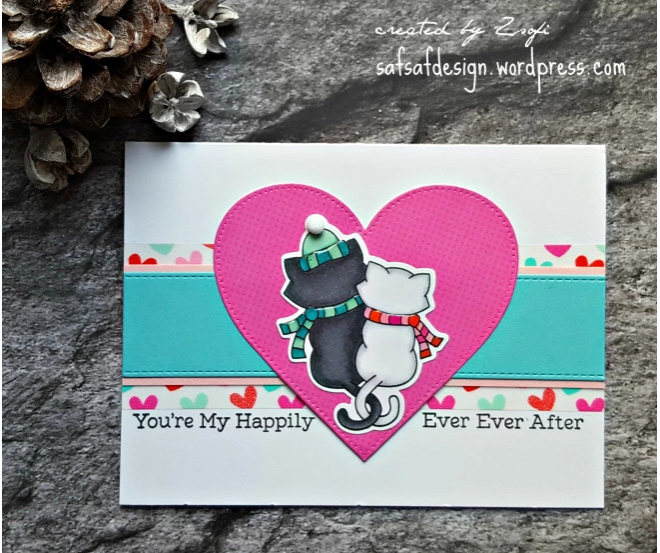 Our second top pick is this bright, colorful card by Zsofi at Safsafdesign. 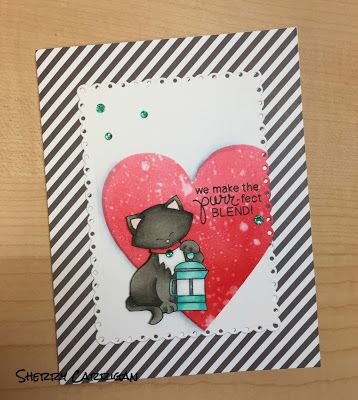 We love how she repurposed the kitties from Newton's Christmas Cuddles to make this darling Valentine's card. The added glossy accents to the scarves and the mini pom-pom placed on the hat are the perfect touches to this delightful card! 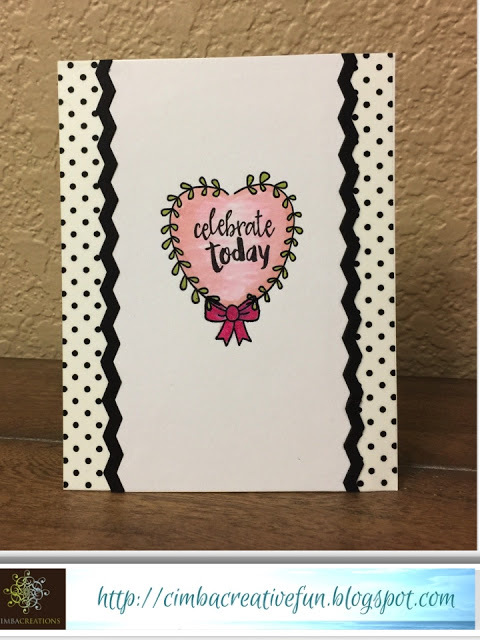 Sherry Carrigan's darling card stands out with the bold red heart set against the black & white striped background. Her card features the caffeine-loving kitty from Newton Loves Coffee. Our second fave comes from Macimbalo at cimbacreativefun. We love how she cleverly shapes a heart using Happy Little Thoughts. This is a delightful CAS card with the polka dotted edges. Thanks again to everyone who entered - It's really so much fun to look through all the entries and see everyone's ideas! If you didn't win this time we hope you'll play along again next time! Our next challenge starts today, February 6! Many congrats to the winners and favorites. Lovely cards! Love all the amazing entries! And congrats to the, of course!!! Congrats to the winners. Great Cards!